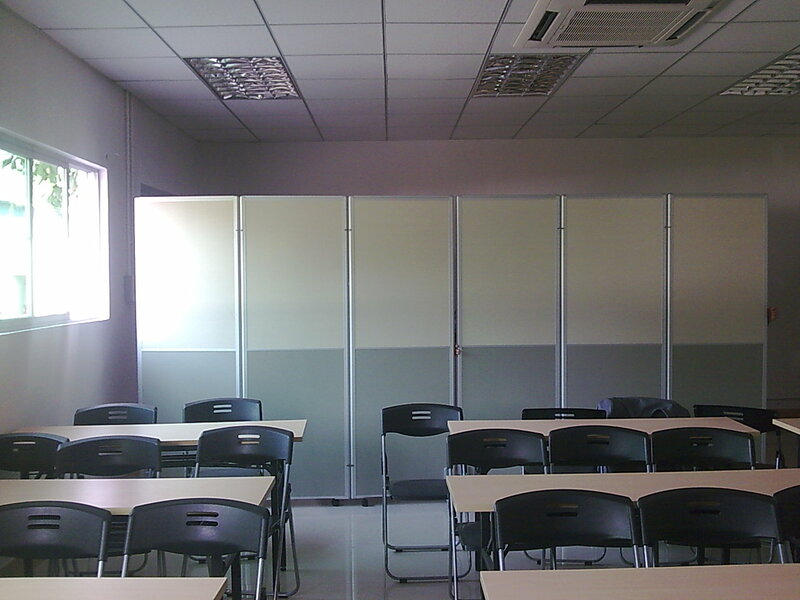 Carton package, MDF batten on four section sides ,foam board on both front face. 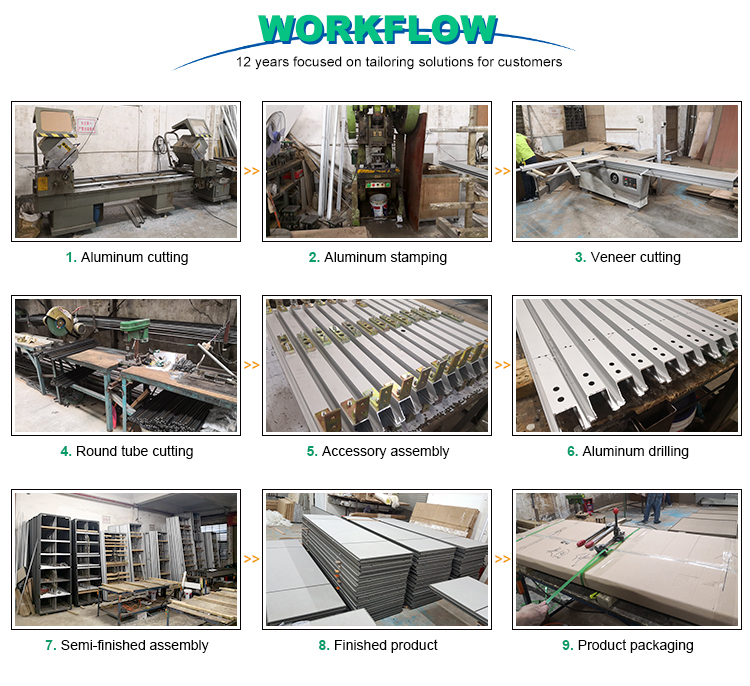 Surface Material Laminate panel, Surface crepe,etc. 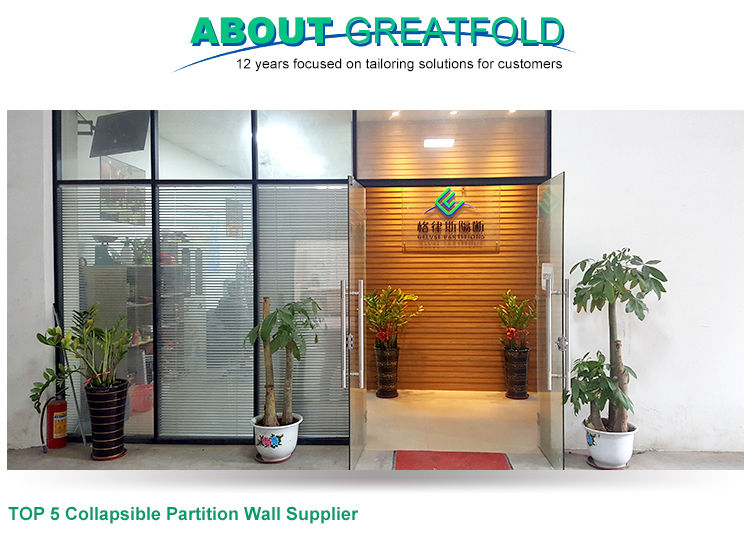 GreatFold folding partition wall divide your space flexibly with sound insulation performance. 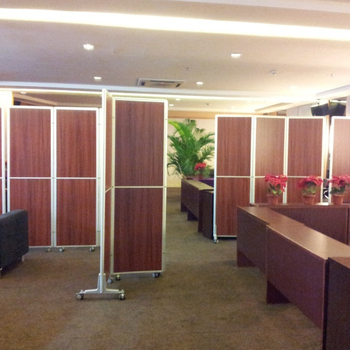 GreatFold partition movable freely, easy installation, good acoustic effect, nice surface treatment, anti corrosion. 3.Precise welding between separate rail can avoid repairing and maintenances in high probability. 4. Partition retract and push easily, only one person can handle the moving job. 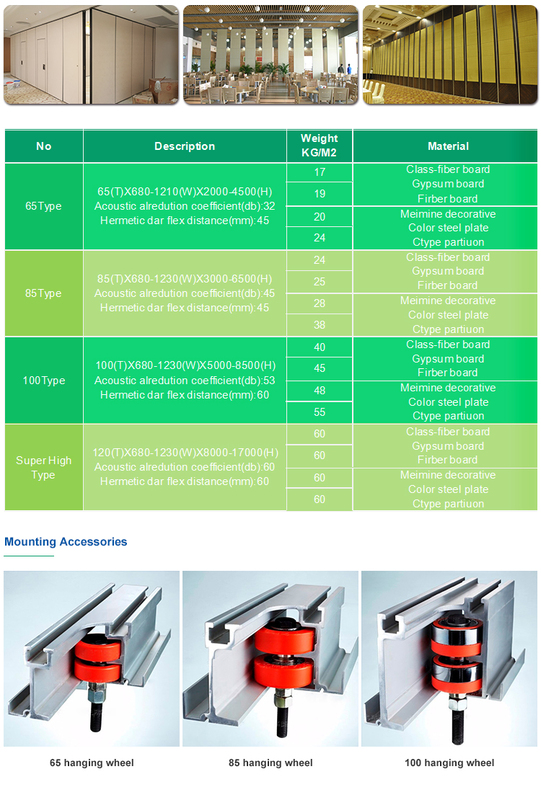 5.Wide application: can be used in Office place, commercial place, exhibition place, Hospital place, etc. 9. 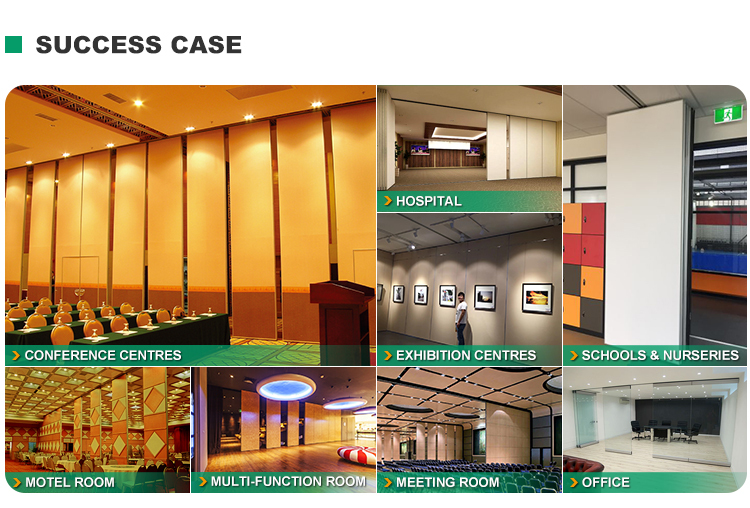 Wide range of applications: products used in hotels, hotels, restaurants, conference halls, exhibition halls, high clean factories and offices. Located in Foshan City, Guangdong province, China. 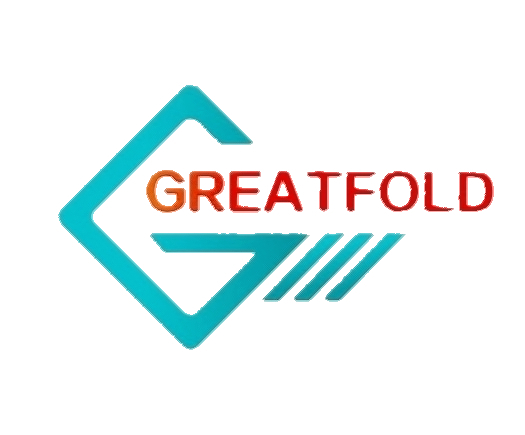 Foshan GreatFold Partition Decoration Engineering Co., Ltd.
with professional research and development, design, sales, manufacturing, installation and after-sales service in one. gives new meaning to the partition products, which makes fashion and practical Complement each other. 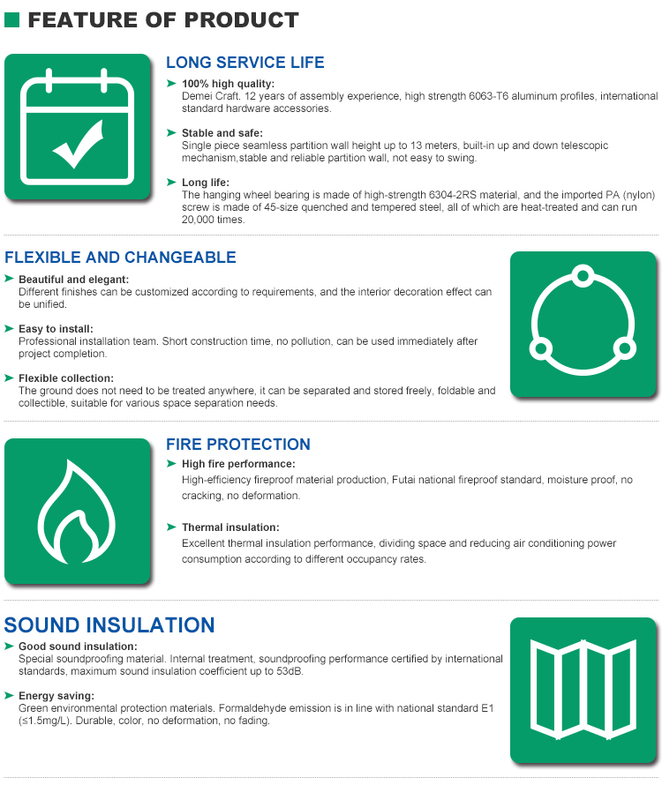 What you should do on site ? ceiling to top ceiling is 200mm . engineer supervising the installation as request . What is lead time ? The lead time is 7 days to 10 days . Sea transport is a common mode of transportation. In an emergency, can be air freight. How do the goods packing ? Corrugating paper packaging, MDF batten cover all around corner . The movable wall panel and track, fittings will be packed separately . What is Procurement procedure ? Thirdly , we quote the movable wall in accordance with confirmed drawings .